Investigating match manipulation cases is challenging because of the nature of the fix. When two or more people agree to fix a football match it is often almost impossible, not only for laymen, to spot the fix without having a defined system implemented. The agreement between the parties takes often place only orally and without any written document that can be used as proof and the agreed amount of money is often handed over from the match-fixers to the players or referees in cash. Because of the enormous effort that it takes to tackle match-fixing, several football associations and confederations as well as FIFA have created specific jobs or departments that are responsible for dealing with this danger, and to prevent and investigate such cases. Often different names and job titles are used in order to designate these officers in their sport organisations. As a simplification, this body will be called the ‘anti-match-fixing body’ in the following article. In football, the responsible anti-match-fixing body is shaped as part of the football organisation and integrated within the operational structure. Depending on the precise structure, this body usually reports to the General Secretary and/or President of the football organisation and is subject to their instructions. Because of this structure the anti-match-fixing body is neither independent nor autonomous from the current leadership. It is not in a position where it can conduct its inquiries at its own discretion in order to guarantee an impartial and comprehensive investigation. This structure which exists at FIFA, most of its Confederations and football associations may cause conflicts of interests and may put the leadership in a position to exercise a significant influence on the activities of the anti-match-fixing body. But why should the General Secretary or President of a football organisation prevent its anti-match-fixing body from taking action against match-fixing? Unfortunately, this is a realistic scenario that can happen for various reasons. For instance, it is conceivable that the leadership is afraid of causing a scandal. Football associations sometimes turn a blind eye to match manipulation because they believe the allegation could harm their reputation and deter sponsors from their tournaments. There are already cases where the sponsors of a football association or certain tournaments have decided not to sponsor or withdraw sponsorship because of allegations of match-fixing. The reason for the termination is often because the organisations failed to investigate these cases and avoided dealing with them in a proper way. Sports organisations often don’t realise that trying to sweep everything under the carpet harms their reputation and the sport more than dealing with match-fixing in a transparent and proactive way. Another reason for a football organisation to not investigate match-fixing could be rooted in the football structure. For example, it is theoretically thinkable that the president of the football organisation such as FIFA or its Confederations doesn’t want to investigate match-fixing in their member associations because the president seeks to be re-elected and is afraid that the leaders of the member associations won’t vote for him if he initiates investigations against the members. This is a typical conflict of interest that is caused by the structure of football. It would protect the president and general secretary of a football organisation if the anti-match-fixing body was allowed to be independent – it removes them from a situation where they could potentially become vulnerable to blackmail. If the final decision on if and how a matter of match-fixing is approached or dealt with lies solely with the General Secretary or President it causes a certain risk that the anti-match-fixing body could become no more than their puppet and certainly not an independent authority. Therefore, in order to be resistant to all political and private impact of the other leaders of the football organisation, the anti-match-fixing body needs to be able to perform its investigations independently and autonomously, without being bound by instructions or approvals of the General Secretary or President. This can easily be established by changing the structure of the football organisation slightly as this article will show. In the following, it identifies feasible solutions by establishing certain criteria that provide an objective benchmark to evaluate if the responsible anti-match-fixing body is in the position to carry out the investigation of potential cases properly. First of all it is necessary to ensure that appropriate channels have been implemented by the football administration for the anti-match-fixing body to receive information about potential match manipulation cases. Often the manipulations are not evident at first sight. Even if the football association has not yet faced a match-fixing scandal in its tournaments, it doesn’t mean there are no match-fixing issues. The question that needs to be asked is if the necessary measures and channels have been implemented that enable them to recognise ongoing fixing? Essential to evaluate potential manipulations in a match is a reliable monitoring system (such as Sportradar) that compares the movements in the betting market with the performance of the players and referees to identify irregularities that can be linked to match manipulations. Trustful relationships with other stakeholders that provide information about potential threats need to be established. Another important channel that needs to be implemented is a whistleblower system where witnesses and informants can report information about potential manipulation confidentially, anonymously and directly to the responsible body. A clear line of communication needs to be published in order to allow people to understand who will receive the reported information and what will be the next steps. Only if confidence in this body or person in charge has been established, will people report sensitive information which can sometimes include a risk to their own lives. Only if the necessary measures and channels exist, will the responsible anti-match-fixing body be able to directly receive all information about potential match-fixing cases unfiltered. Obtaining the relevant information is the first necessary requirement for the body to take actions and to carry out its investigations. Although match manipulation is a great threat to sport in general, no organisation like the World Anti-Doping Agency (WADA) had been implemented so far that could overview and organize the fight globally. So far, it has been the task of the football organisations themselves to fight it. Depending on how seriously they take this threat, is the size of the budget provided for the anti-match-fixing body to function. Unfortunately even where budgets for combatting match-fixing exist, they are often quite small. To ensure proper investigations are conducted, the relevant anti-match-fixing body needs to have the financial resource to carry them out and at its own discretion. It is important that this body doesn’t need the approval from the leadership to spend the resources once an allegation occurs. The budget rather needs to be concluded in advance so that it cannot be cut afterwards if the investigation is not supported by the leadership. Only this enables the body to carry out investigations independent from the interference of the General Secretary or President of its organisation. The anti-match-fixing body needs to be independent in determining the content of the investigations which means by the football regulations it must have the decision-making power to determine the targets and the measures of the investigation. It is unproblematic if it needs to inform another body within the hierarchy before taking action such as the General Secretary of the football administration. However, if the relevant anti-match-fixing body needs to ask for the approval before taking action, it is limited in its scope of operation and no longer independent anymore as it can only take action if approval is obtained. In this circumstance, the anti-match-fixing body and its investigations could theoretically be blocked or influenced by the General Secretary or President of the football association for any reason. Once the anti-match-fixing body has established the facts with all available information, it prepares a Preliminary Investigation Report which contains all relevant information related to the case drawn together for analysis. The multiple sources of information and intelligence produce graded findings such that they can be prioritized and used for strategic decision making. All evidence and intelligence will be evaluated in terms of reliability and accuracy. The anti-match-fixing body needs to send the Preliminary Report directly to the body in charge of opening the procedure (often the Ethics Committee or Disciplinary Committee of the organisation) which should be an independent committee as well. This report is the basis for the committee to open a formal case. It is important that the anti-match-fixing body can provide all facts without prior approval and review by any other body of its football organisation directly to the committee. Some football regulations determine only that the Ethics or Disciplinary Committee is entitled to handle all cases arising from the application of the Code without determining which body should submit the information to the responsible committee. Other regulations state that the preliminary report needs to be send by the anti-match-fixing body to the General Secretary who will submit it to the responsible committee. Such regulation is problematic as the anti-match-fixing body loses its influence and cannot control if the report has been sent to the committee which is the requirement for the committee to open the case against the accused persons. Also, if other leaders are able to review the report it is difficult to protect the sources. it is conceivable that the report could contain confidential information that even the General Secretary or President of the football association should not be entitled to see because of conflicts of interests. The absolute secrecy requirements also extends to them. This can also be important in order to protect them from the accusation that they might be involved and have impact on the decisions made. Thus, it is essential that the football regulations provide the power to the anti-match-fixing body to submit the investigation report including all files and evidence to the relevant committee in order to ensure that the committee can review the case. The four-point check list above provides an objective benchmark to evaluate if a relevant anti-match- fixing body of a football organisation is able to carry out the investigation of potential cases autonomously and independently from the football organisation. Only if that is the case, can the body enforce investigations even if the leaders of the football organisation are not supporting the investigations or try to intervene. This makes the body more effective and protects footballs integrity. As a complement to the general framework regarding the independence, the anti-match-fixing body’s budget should approve by the Congress or equivalent body in order to put the responsibility and decision on multiple shoulders. Consequently, the anti-match-fixing body should report to the same body which should have at the same time also the supervision over the anti-match-fixing body. The anti-match-fixing body should publish its activity report to this body in order to expose which investigations have been conducted on behalf of the organisation. In this way the anti-match-fixing body is independent in conducting its investigations but its work is also subjected to review of the Congress or equivalent body. 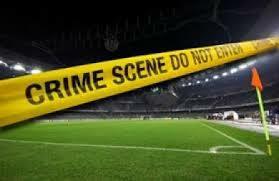 This article focuses on football but match-fixing is a problem that affects other sports as well. The approach of using the 4-Point check list is applicable to the anti-match fixing body of sport organisations other than football. So is the requirement to have an independent body initiating the investigations. The sanctioning processes are the same as football if violations of the regulations have occurred. Match-fixing as a specific type of corruption is just one example that needs an independent anti-corruption body to be involved on behalf of the sport organisation in order to guarantee a proper procedure. It is conceivable that this approach could be used for other forms of corruption than match-fixing as well. Dr. Laila Mintas is a lawyer and was formerly Director of Sports Integrity at CONCACAF. Prior to this she was Head of Legal and International Development for FIFA’s Early Warning System (EWS) in Zurich. She previously practised law at international law firm White & Case LLP, headquarters in New York, and has lectured law at the Humboldt University of Berlin. She is a professor for Sports Law at the ISDE program at Columbia University and St. Johns University in New York.